2012 British Blues Award Nominee Will Johns has been playing Sizzling Blues Rock across the globe for more than 15 years appearing at festivals such as Blues on the Farm, Birmingham Jazz and Blues & Cambridge Rock Festival and also sharing his music at venues including the 100 Club and the Eel Pie Club. Voted Best Male Solo Artist 2012 in the Doc’s Blues Awards by Radio Severn’s listeners well. 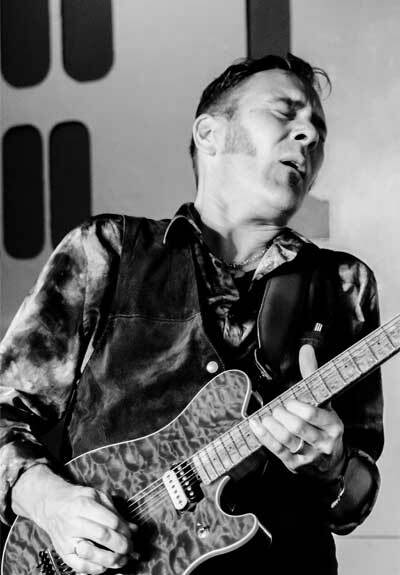 He has performed with many incredible musicians including Ronnie Wood, Bill Wyman and Jack Bruce, entrancing listeners around the world as he plays. Now he is playing on “Sons Of Cream” with Ginger Baker’s son Kofi Baker and Jack Bruce’s son Malcolm Bruce. Will fit the band not just because of his power playing but as his uncle is Eric Clapton and Will is the son of the legendary record producer/engineer Andy Johns.